This North London-set chiller (with obligatory “Based on true events” tag) is from the prolific writer-director of recent British indie horrors VIDEO KILLER and SCARE BEAR. 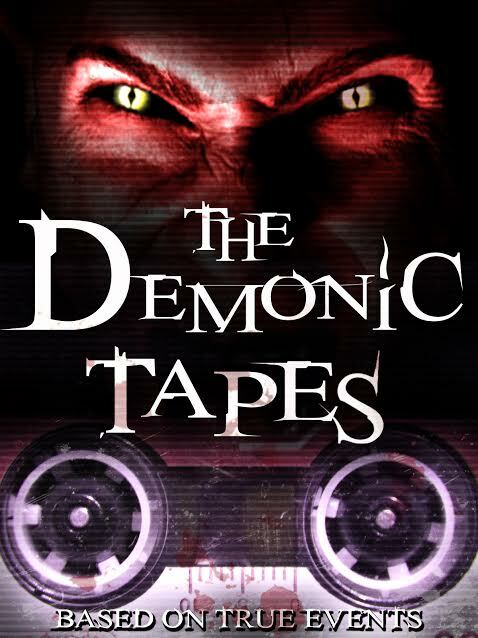 Mansfield has flirted with the found-footage format before, and here follows the SINISTER narrative route of unearthed tapes as the catalyst for supernatural horrors. 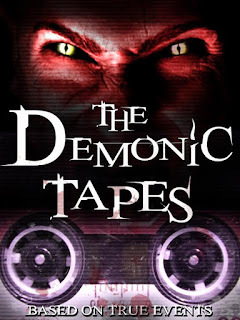 Darren Mansfield finds a bunch of audio tapes in his basement, seemingly offering documentation of past paranormal investigations in his home. The film sustains a creepy ambience while pleasingly avoiding the cheap shocks that have become the norm in the era of amateur wannabe-PARANORMAL ACTIVITY efforts. Effectively eerie use of sound and fleetingly glimpsed faces in the shadows combines well with the director’s fondness for offbeat angles and point of view shots. Refreshingly, this seems more influenced by the simmering malevolence of the peerless GHOSTWATCH than the quiet-quiet-bang approach of THE CONJURING movies, though it is weakened by a flat, unengaging leading man who spends most of the movie alone. The payoff is also lukewarm, though the movie mostly exceeds (the admittedly low) expectations.